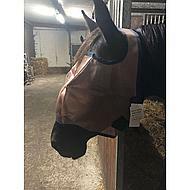 Very satisfied with this fly mask. Has a good fit and stays well with my horse. Fine strong mask, which is completely intact 2 years later. Question: Are they also in an intermediate size? 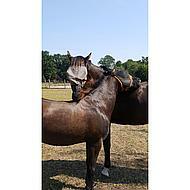 pony is too small and cob is too big. Answer: Unfortunately, no intermediate measure is available here.